The Harlinton Queen Bedroom Group by Rooms Collection Three at Rooms Furniture in the Houston, Sugar Land, Katy, Missouri City, Texas area. Product availability may vary. Contact us for the most current availability on this product. 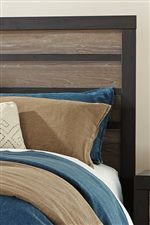 Finish Warm gray vintage finish with white wax effect and replicated oak grain on drawer fronts and bed. Cases and bed framed with vintage aged black/brown finish over replicated oak grain. 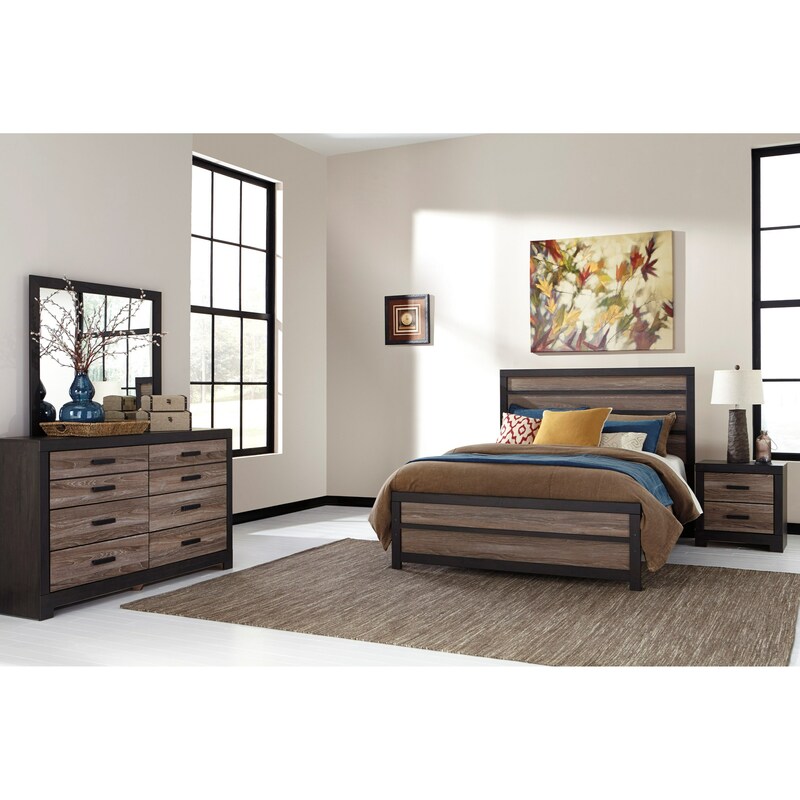 Rustic meets contemporary with this bedroom furniture collection. A warm gray vintage finish is complemented by aged black/brown finish for a two-tone look. Any bedroom will receive a fresh new outlook with the addition of the pieces available. The Harlinton collection is a great option if you are looking for Contemporary furniture in the Houston, Sugar Land, Katy, Missouri City, Texas area. Browse other items in the Harlinton collection from Rooms Furniture in the Houston, Sugar Land, Katy, Missouri City, Texas area.